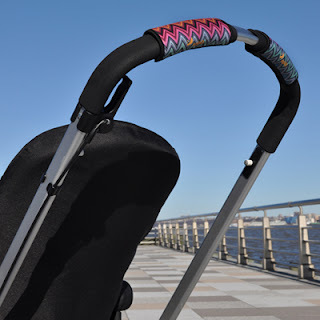 A few months ago we received a stroller to review and loved it. The only thing I was concerned about was the handle bar. It is completely covered in a foam type material. I was worried that with my husband and I handling it so much that it would eventually rip/tear. I was doing a search online one night and came across CityGrips. This site is awesome and solved my problem. 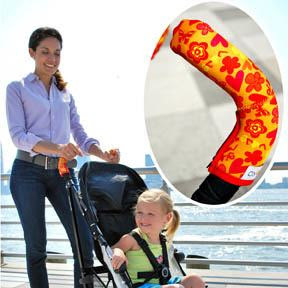 They provide covers for the handles of your strollers. I received a set and was able to choose the pattern we liked most. They are the easiest things to put on. All you do is open them at the velcro enclosure and place them around the bar(s). Then close the velcro so that they are attached tightly. We have a single bar so I placed them side by side in the middle of the bar. I then tested it to ensure I had them wear our hands would be placed the most. 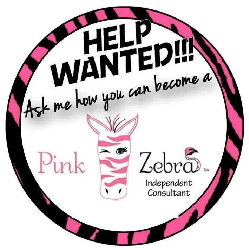 We have been using them for a few weeks now and we love them!!! They are the best thing ever and our keeping our bar in new condition. I love the pattern we choose too. 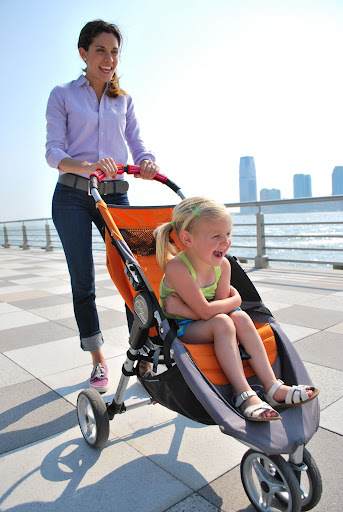 It goes great with our strollers colors. I also love that you can easily remove them and pop them right into the wash. Great way to get rid of all of those nasty germs too. 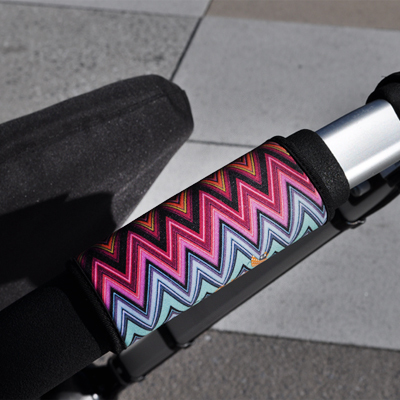 We choose the Zig Zag Color Grips for a Single Bar. 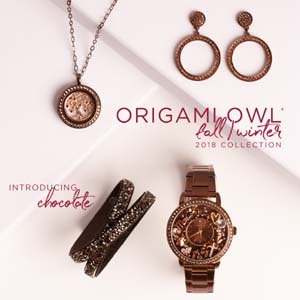 They offer a variety of colors and patterns. Not only for a single bar but for a double bar stroller too. They have also been kind enough to offer a giveaway to our viewers too. Just look below for the Rafflecopter form to enter. Be sure to follow CityGrips on Facebook and Twitter too. I would get the Black Towel! i love the Circle Green – Double Bar! i love the zig-zag color for my daughter. 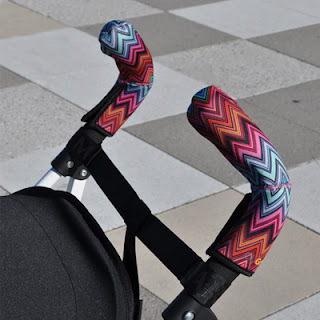 zig zag color double handlebar - I would use them on my flea market cart! I like the circle green. Thanks.